Everyone at Good Shepherd loves our annual Pumpkin Patch, and part of our responsibility as parishioners is to spread the news of our patch to the community. Last year our patch was voted #5 on the Kids Out and About Website for best things to do with kids. 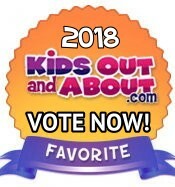 Votes are now being taken for the 2018 list of best things to do with kids, and we need your vote! The process is easy for you, and will go a long way to help bring new families to our pumpkin patch and potentially our church. Simply go to: http://go.kidsoutandabout.com/e/501141/r-KOAA-DEN18FB/4nltx1/36762663 and cast your vote today. It’s easy to do, and you don’t even have to complete the entire ballot. Just fill in your zip code, and select your top 3 picks from their drop down lists. Of course, you will want to select Pumpkin Patch of Centennial as your #1 pick, and then choose two others after that. Thank you for helping us make Pumpkin Patch of Centennial #1! Older PostThe future of our Pumpkin Patch Ministry Rests with YOU!